Katherine Elizabeth (Kelly) Alexander passed away at the age of 90 on Thursday August 23, 2018. Katherine was born March 27, 1928 in Forest Glen, Maryland. She was the fourth of seven children. Katherine was preceded in death by her parents: William Bernard and Virginia (Jones) Kelly and siblings: Mary (Kelly) Davis, William B. Kelly III, John Kelly, Thomas Kelly, Dorothy (Kelly) Wheatley, Agnes (Kelly) Tucker and lost her beloved husband of 57 years; Nelson F. Alexander in July of 2003. Katherine and Nelson had no children, but were there to lend a hand when their nieces, nephews and friends children were young. She is survived by 13 nieces and nephews and her beloved Shih Tzu companion, Maggie. Katherine had a soft spot in her heart for all animals. 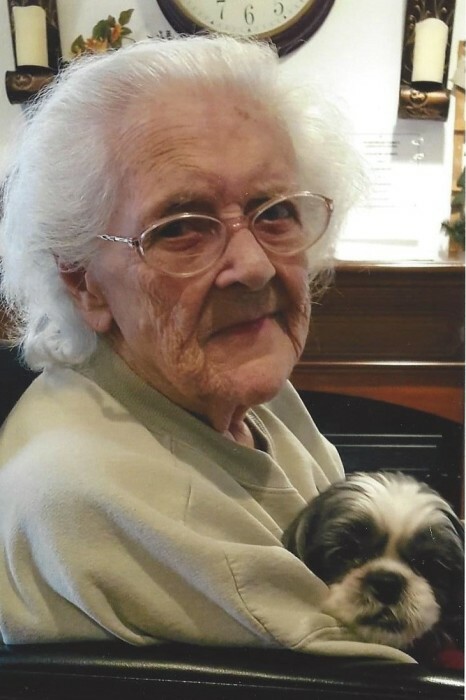 Her devotion was extended to helping orphaned birds, squirrels, ducks, Canadian geese and other wildlife, on top of the many cats, dogs, and farm animals they raised over the years. She loved to cook, garden, paint and craft, and entertained many friends from all over these United States. When first married, Berryville, Virginia was where the couple called home. After a few years, they moved to Rockville and then Seneca, Maryland to be closer to her family, and better employment opportunities. After hurricane Agnes in 1972, they had to leave Seneca due to flood damage. They returned to Berryville, where she resided until moving into assisted living in 2016. You are dearly loved and are sorely missed. May you find peace in the presence of our Lord, and with your heavenly family. In lieu of funeral services, and to honor Katherine’s character, anyone who wishes to participate may make a donation to your local chapter of the humane society.